Fear not. It can be fixed. The first thing you want to do is replace the background image. You can find it at /usr/share/images/xsplash. Next you can change the colours of the login box to complement your new background. 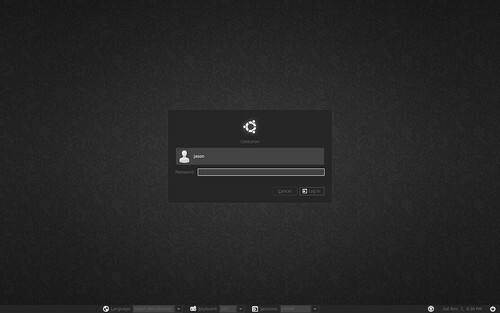 This is all controlled in /usr/share/themes/HumanLogin/gtk-2.0/gtkrc.